This story centres on the history of River paper mill, the ruins of which can be seen by the junction of Minnis Lane and Lower Road, River. At the time of the story, the other paper mills on the 4mile long river Dour were Bushy Ruff, Crabble, Buckland cottage, Lower Buckland, Charlton at Charlton Green and Lower Charlton – also known as Spring Garden paper mill, near the High Street. 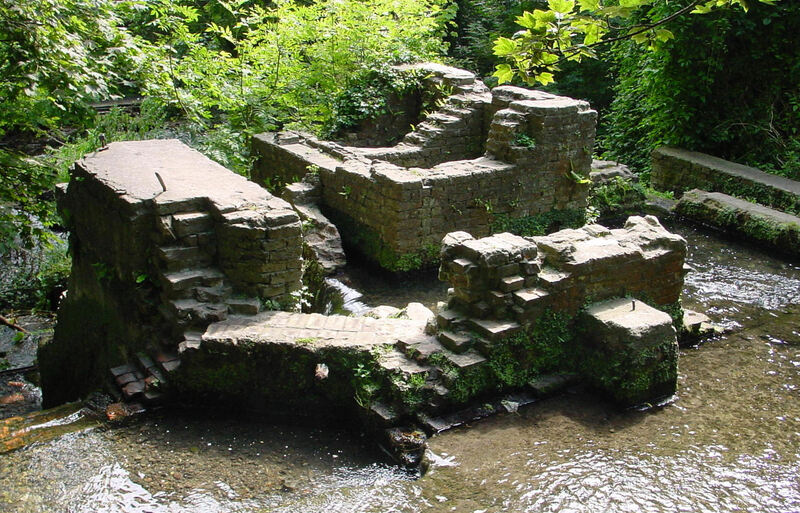 River paper mill, the ruins of which can be seen at the bottom of Minnis Lane, is mentioned in the Domesday Book of 1086, as a corn mill and again the corn mill is noted in 1227. By 1472, the village boasted of two water mills, Rakestravis Mill and Ash Mill, both of which were owned by the Maison Dieu. 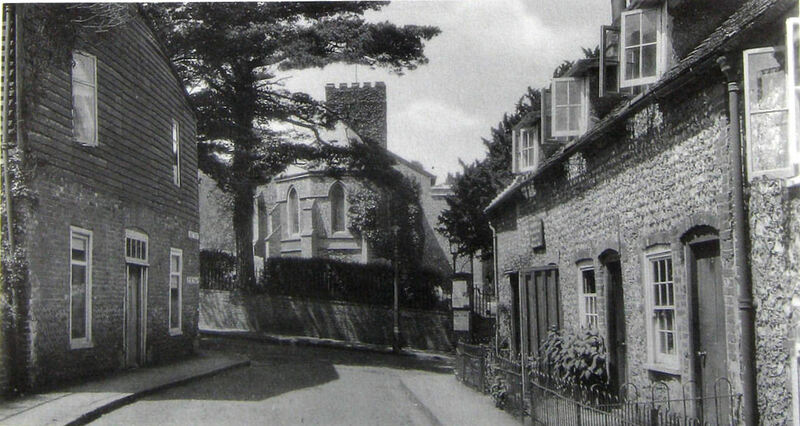 This was a religious hospital founded in 1203 by Hubert de Burgh (c.1170–1243) and the Great Chamber or Stone Hall we can still see today in Biggin Street. The two mills were leased for forty years to miller Robert Salter and his heirs at 10shillings a quarter each. The Master of the Maison Dieu, John Clerk (elected 1484-d1534), drew up the transaction but at the time Ash Mill was leased to John le By of Temple Ewell. Thus, it was noted that Salter had to wait until John le By vacated the premises. During the Reformation (1529-1536), the mills were sold but religious persecution in the Low Countries, these days the Benelux countries and consisting of Belgium, the Netherlands, and Luxembourg, between 1567-1573 by the Grand Duke Alva (1507-1582) brought a flood of refugees to England. Among them were paper makers and early records show that some settled alongside the Dour. It is believed that it was one of these refugees that converted the former corn mill into a paper mill. Papermaking can be traced back to 105AD in China, but it was not until Johannes Gutenberg (c. 1400-1468) invented mechanical moveable type printing in 1439, that demand in Europe was created. 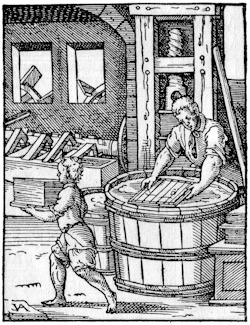 From then until the early nineteenth century papermaking was a cottage industry with the few employees supplemented by journeymen papermakers. At that time, paper was made out of rags that were sorted as the condition and the colour determined the quality and colour of the finished paper. As there were no chemical bleaches, white or near white cloth was the most prized. Sorting was the dirtiest and lowest job in the mill and was often undertaken by women. The material was cut up into small pieces and then rettled, that is soaked and left to ferment for a few days to breakdown the weave. This was followed by boiling in tanks to which caustic soda had been added. The rags would then have been put into a metal lined trough and pounded for about 12hours by several hammers with spikes set into the heads. These were raised by cams on the waterwheel spindle, and then would fall to shred the material and create half stuff. The half stuff was put into a second trough and pounded for a further 12hours by hammers set with grooved studs in the heads that further broke up the fibre, creating whole stuff. Finally, in a third trough, the pulverised material would be subject to another 12hour beating with plain wooden hammers to produce stuff, minute particles of cellulose that was then poured into a vat of clean water. The vatman, a qualified papermaker, dipped a mould or deckle into the stuff. The deckle was a rectangular wooden frame with a fine mesh of straight wires sewn onto the underside. The vatman’s skill was to collect the right amount of stuff in the mould to form a sheet of paper of the required thickness. He then gently shook the frame until all the surplus water drained away leaving a layer of cellulose on the wire mesh. Once satisfied, the mould was passed onto the coucher, again a qualified papermaker, who transferred the wet sheet of cellulose onto a felt – a damp woollen cloth. The cellulose sheet was then covered with another felt and the next cellulose sheet laid on top to make a stack of cellulose sheets interspersed with felts and called a post. The post was then put into a screw press to remove as much moisture as possible. The layerman, another skilled operative, separated the felts and the sheets and the coucher would repeat the process. Following which, the sheets were hung in the mill lofts to air-dry. By 1689, the River papermaking mill was owned by Susanna Williams for that year, she sold the mill to the Hatton family of Buckland. Edward Hatton born in Alkham, along with his brothers Nicholas and John, had all served their apprenticeships as millwrights. An indenture, dated 1700, confirms their professional status. It was probably they who introduced the rag-machine or Hollander to the factory. This was invented in Holland, patented in 1682 and replaced rag-stomping. The machine consisted of a beater wheel similar to a water wheel, the blades of which rotated to beat the fibre into a pulp. Four years later, in 1704, the Hatton family sold the mill to Paetly Sturgeis and on his death the mill passed to his wife Katherine (d1717). It would appear that she employed John Walters to run the mill and on her death Katherine bequeathed the mill to her cousin, Katherine Dawkes (d1731). It was recorded that in 1742 the mill was being worked as a water mill and in possession of Isaac Hammond (d 1777), who leased it to journeyman papermaker Thomas Radford (c1710-1760). He had married Sarah Lamper (1709-1793) in 1735 at Buckland and five years later their son Thomas was born (1740-1772) and in 1745 their daughter Sarah. (1745-1777). In 1756 Thomas and Sarah leased River paper mill. As noted, Thomas Radford, who possibly came from Boxley, near Maidstone, Kent, was a journeyman papermaker. As the demand for paper was not consistent, when orders came into paper mills the mill owner employed journeyman papermakers until the order was completed. Having served a full apprenticeship, the journeyman papermakers received their accreditation, which they carried with them. They were recognised professionals who commanded good payment for their work. Further, the identification document also ensured inn keepers that they would receive payment in full from the journeyman papermaker for the provision of a good meal and a comfortable nights lodging. On leasing the mill, Thomas made a number of improvements, the most noticeable of which was building a tall chimney to carry away the smoke of fire and steam contaminated with caustic soda. He also adapted the mill’s water wheel to work the pulverisers. Having to rely on journeymen coming to River due to lack of local skilled workers Thomas decided to hire local boys as apprentices, providing training that met the requirements of becoming a qualified papermaker. 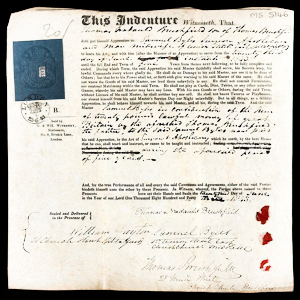 Standard indentures for apprentice papermakers, at that time, was 10years and although it was usually expected for the boy’s family to pay for the apprenticeship training, Thomas chose to pay the boys a token sum of money every quarter. He almost certainly had stringent rules, with which they had to comply but at the end of their training, the young men would be certificated professionals. However, this initiative ran foul of the Dover Freemen’s requirement of apprentices such as ‘A parent has the right to pay a standard sum to enter their son into an apprenticeship lasting seven years under a Freeman.’ The parents of the local lads did not have the finance to pay for this privilege and further, Thomas was not a Dover Freeman. Sarah, his wife, was the daughter of a Freeman, and through her father, Thomas managed to claim his Freemanship. How he managed to get around the apprenticeship problem is unclear, but he did and he also retained journeymen to act as their teachers. Before he died on 19 November 1760 at the age of 50, Thomas bought land and arranged for cottages to be built along Minnis Lane. These were rented to the teacher journeymen and on completion of their apprenticeship, the young men, who were retained by the mill, would be eligible to rent a cottage, as they became available. With regards to the mill, Thomas’s Will states, ‘I give unto my wife Sarah all that my messuage or tenement mill house and water mill late and now used as a paper mill’. Sarah Radford was a businesswoman and she successfully ran the mill with the help of her son Thomas. Of the apprentices William Phipps (1747-1819) particularly stood out, as did his brothers, Christopher (1749-1831) and John (1759-1835). Young Thomas Radford married Elizabeth Cooper (1738-1794) in 1761 and they moved into the mill house where their daughter Elizabeth (b1762) was born the following year. When she grew up she married Luke Evans (d1796), a papermaker. It was not long after that William Phipps completed his apprenticeship and with Sarah’s approval, he started courting Sarah’s daughter Sarah. On Christmas Day 1765, William and Sarah were married and they moved into one of the Minnis Land cottages. Thomas ran the mill until he died in 1772 but by then the mill was in financial trouble. Whether William Phipps offered to run the mill is unclear but by this time the relationship between himself and his mother-in-law seems to have been strained. By 1774, the mill was in more financial trouble when Sarah Radford mortgaged it together with the mill house for £800 plus interest to Robert French (d1806). William and Sarah had two children Sarah born 1766 and William born 1769 but in 1777, William’s wife Sarah died and her mother sold the River paper mill to Ingram Horn (d1785). He was the son of paper manufacturer Thomas Horn, who rented Buckland cottage paper mill, Crabble Hill, from the Archbishop of Canterbury. Ingram had recently leased the Lower Buckland paper mill, further down the River Dour, from Henry Paine. A mill had been built by Paine in 1755 on the opposite side of the River Dour from Buckland corn mill, on what is now Lorne Road. However, Lower Buckland paper mill was not mentioned until 1775, when a deed referred to the newly erected paper mill on this site. By 1780 River paper mill was being run by William Phipps and together with John Aldridge, and using a loan from the Fector Bank on Strond Street, Dover, they bought the mill from Horn. The following year, on 13 February 1781, Phipps married his second wife, Ann Claringbould (1755-1823) but the next year Phipps was declared bankrupt and so the mill reverted to the Fectors. Israel Claringbould, who was possibly Phipps father-in-law, bought the mill and then sold it to Thomas Boykett (d1792) reserving the power of redemption. Claringbould took the mill back but between 1784 and 1788, he leased it to a Mr. Low. Up to 1784, Phipps had run the River mill but when Low took over the mill the Phipps’ brothers were reduced to the status of helping hands. 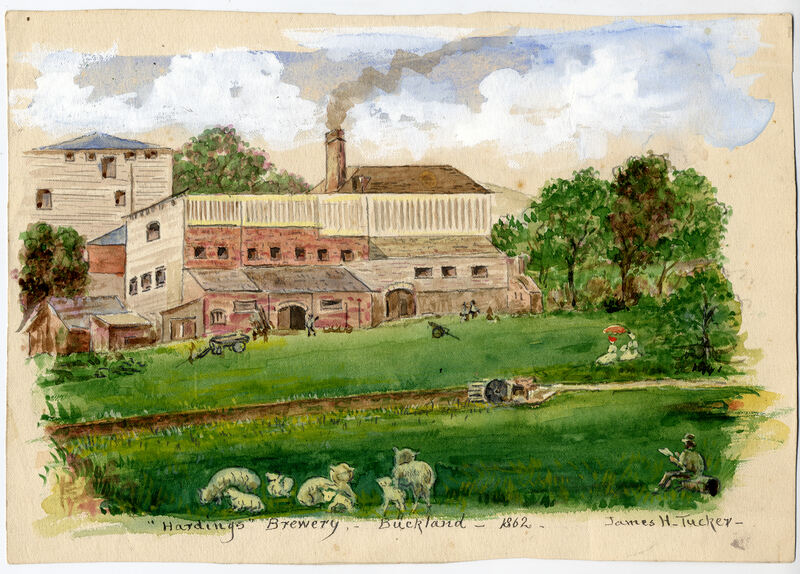 In 1788, William Phipps acquired the semi-derelict Crabble paper mill. Over the following two years he rebuilt it and appears to have introduced the new style mould developed in 1757 by James Whatman senior (1702–1759) from Loose, near Maidstone, Kent. This replaced the traditional wooden and straight wire mould with one made of woven wire fabric, producing wove paper, that had a uniform surface. The main problem with the traditional mould was that the wires left indentations in the paper, called laid marks, which prevented clear sharp letters when the paper was used for printing. At the refurbished Crabble paper mill, not only was wove paper produced but in 1790 John Phipps, William’s youngest brother, produced a paper he had patented. Basing his invention on the laid paper and watermark techniques, the patent specification states that it is ‘A method to facilitate the acquirement of several of the useful and polite arts by an easy, effectual and expeditious manner of teaching writing and. drawing which is done by fabricating the moulds, wove or washing wires … by having the lines made and the copies set for writing.’ The writing lines were made using watermark technique created by changing the thickness of the paper, while it was being made. This made a shadow/lightness in the paper and the Bank of England had been issuing bank notes with simple watermarks from about 1697 in an attempt to stop counterfeiting and high street banks followed suit including the Dover banks. To create his watermarked laid paper, John Phipps possibly used thicker but evenly spaced wires across the mould and fine wires on the vertical axis, which supported the heavier wire. In the meantime, Low defaulted on his River paper mill lease and Claringbould was unable to persuade any of the Phipps brothers to return and run it for him. He therefore sold the mill to the Fectors Bank. William Phipps, in return for financial considerations over his debt to the bank in purchasing Crabble paper mill, agreed to lease and run the River mill on behalf of the Bank. On 1 February 1793, France declared war on Britain and the Napoleonic Wars (1793-1815) began. The effect on Dover was an influx of military and naval forces and with them, an increase in demand which included the need for good quality paper. At Lower Buckland paper mill, Ingram Horn had died and Henry Paine was hit with a wage dispute. In 1794 Paine was declared bankrupt and William Phipps, using loans from both the Fector and Latham banks, bought the Lower Buckland paper mill a year later and completely rebuilt and refurbished it. By the end of the century, the historian, Edward Hasted (1732-1812), described the mill as large and well constructed. John Phipps, with the help of his brother Christopher, ran the mill producing John’s patented watermarked laid paper, which proved successful. 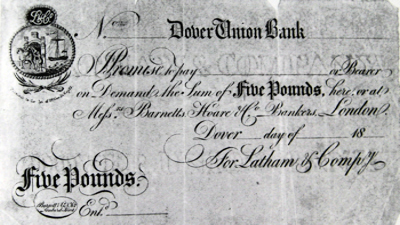 The wage dispute that had bankrupted Henry Paine was due to a rapid rise in prices and the increase in demand for paper in Dover. This was not just a local problem and in 1800 this had led to the founding of the Original Society of Papermakers that represented skilled workers in the paper industry. 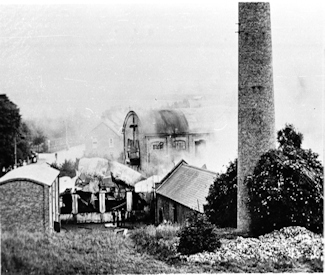 Their biggest fear was the increase in mechanisation within the paper industry and although it was William Phipps who was producing wove paper at River and Crabble paper mills and was moving towards mechanisation, it was the labour intensive Lower Buckland paper mill where the unrest boiled over. 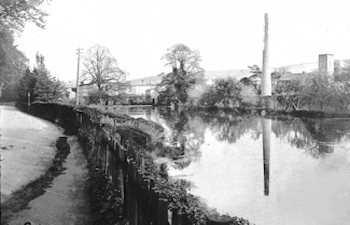 William Phipps, in 1810, reacted by closing and then selling Lower Buckland paper mill to Sir Thomas Hyde Page (1746-1821) who had bought the nearby Brox-Ditch Meadow. Sir Thomas erected the mansion now referred to as 110 London Road facing Coombe Valley Road but in 1814 Sir Thomas sold much of his land including the house and the paper mill to William Kingsford (1778-1856) for £5,750 and moved away. In 1821, Kingsford borrowed £6,000, expanded the paper mill and for his workers built cottages, many of which can still be seen along the London Road. Through Israel Claringbould, in 1800 William Phipps paid £2,000 ‘to James Peter Fector‘ (1759-1804) of Fector Bank to repurchase the River Paper mill. Seven years later, in 1807, he rebuilt the mill and also the adjacent River Mill House – an elegant Georgian mansion that faced Lower Road. At the top of Minnis Lane is SS Peter and Paul Church and opposite was the first Dublin Man of War hostelry that was probably a converted cottage and at the time being run by John Brockman (1765-1837). It was said that Phipps, when he thought his mill hands were spending too much time in the pub, would go in and clear the house! This is not surprising, as Phipps was known to be a hard taskmaster. Indeed, he closed Lower Buckland Paper Mill as a warning to his other workers and he was not adverse to make surprise visits to the cottages on Minnis Lane. This was to check if they were clean and tidy and that the gardens were well tended. If not, the cottager and his family would be evicted. With the continual increase in demand for paper but with rags becoming more expensive to buy plus the demands from his workers to increase wages in line with inflation, in 1807 Phipps installed the new 48inch Fourdrinier machine at his Crabble paper mill. This was described as driven by the water wheel and produced a continuous roll of paper. 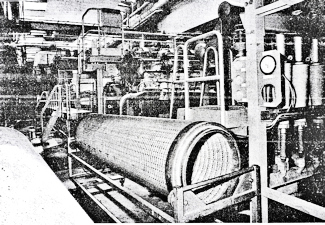 The machine consisted of a perforated cylinder covered with a wire cloth that revolved in a vat filled with stuff – the minute particles of cellulose pulp. The stuff was pressed onto the cylinder, removing the water through its centre and the pulp that remained was removed from the surface of the wire cloth by a continuous felt blanket. The stuff was then pressed again to remove any surplus water before leaving the machine as a long roll of paper, rather than separate sheets. The damp paper was then carefully reeled on to a Flat reeler, cut off by hand into sheets and removed to the lofts to be dried. Paper produced this way had a superior surface and appearance than the individually produced sheets of wove paper. A machine for making continuous paper had been patented in by Nicholas Louis Robert (1721-1828) in 1799, but as it was at the time of the French Revolution (1789-1799) the machine was not a success. Nicholas Robert was working at a paper mill at Essonnes, near Paris, in France owned by St. Léger Didot (1767-1829). Didot’s brother-in-law, John Gamble, recognising their value, brought copies of Robert’s drawings to England and patented them in 1801. Gamble then took the drawings to London stationers, Henry (1766–1854) and Sealey Fourdrinier (1773–1847) who financed the ingenious engineer Bryan Donkin (1768-1855) to build the machine, making improvements as he saw fit. This Donkin did and in 1803 a machine was installed by John Dickinson (1782-1869) at his paper mill, Frogmore, Hertfordshire. 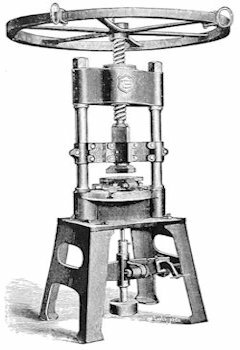 In 1809 Dickinson patented the improved machine design. Following the end of the Napoleonic Wars, approximately a quarter of a million soldiers and sailors, many of them maimed, returned to a Britain that was in a rapid economic decline. The wartime inflation continued especially as poor crops were causing food shortages. Income Tax, which had been introduced during the Wars, was abolished but it was replaced by taxes on staple commodities such as candles, paper and soap as well as luxury items such as sugar, beer and tobacco. To save money, town and cities cut the Poor Law relief rates that meant starvation was rife and businessmen, such as Phipps, looked for cheaper forms of paper production. Phipps was looking for other machines that would increase production while reducing labour costs and on 1 November 1820 Thomas Bonsor Crompton (1792-1858) of Farnworth, Lancashire, patented one. This was a method of drying continuous paper using a woven fabric to hold the sheet against steam heated drying cylinders. It is possible that William Phipps may have considered installing such a machine for according to an 1821 survey, carried out for insurance purposes, it states that in the drying room there were ‘wrought and cast iron coils’ that were notorious for causing fires. The same survey makes reference to the Fourdrinier machine describing it as a ‘48 inch paper making machine’. A survey in 1894 included a much larger paper making machine with drying cylinders. At that time the village of River consisted of a few cottages and a number of hovels. All three brothers worked hard, each making a significant contribution to the paper industry. When William died, the village had 93 cottages that he had built. William’s second wife Ann died in 1823 having borne him ten children, John (1782-1841), Mary Anne (1784-1856), Susannah (1785-1879), Elizabeth (1786-1859) Maria (1788-1859), Christopher (1790-1867), Israel (1791), George (1794-1795) Filmer (1796-1851) and Eliza (1798-1859). William Phipps left his milling business to his sons John and Christopher, while Filmer inherited the wholesale stationers business at 176 Upper Thames Street, London, set up as an outlet for the family paper business. 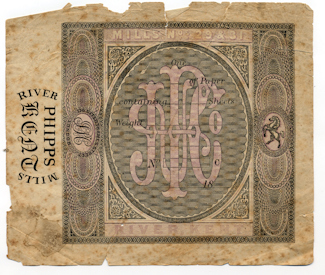 John Phipps registered the company as John Phipps & Co., River-mills Dover and in 1824 the company was listed as paper manufacturers. On 11 January 1825, John successfully applied for a patent on a form of the Dandy Roll. This was to impress watermarks onto continuous rolls of paper produced by the Fourdrinier machine. Engineer and paper mould maker, John Marshall from Dartford Kent, had invented the Dandy Roll but it had not been patented. Originally, it was a wooden roller covered with a wire cloth embossed with a pattern. Faint lines were made by laid wires that were parallel to the axis and bold lines by chain wires that ran around the circumference to secure the laid wires to the roll from the outside. Because the chain wires were on the outside of the laid wires, they made a greater impression in the pulp and therefore created a bolder finish than the laid wire lines. The Phipps brothers’ patent Dandy Roll replaced the wooden roller with a cylinder formed of wire to create impressions upon the forming paper. Their patent, No. 5075 is listed as, ‘An Improvement or Improvements in Machinery for Making Paper.’ In the specification the patent states, ‘the employment of a roller the cylinder part of which is formed of ‘laid’ wire … the effect produced by said roller is that of making impressions upon the sheet of paper upon which said roller passes and thus the paper so made has the appearance of ‘laid’ paper.’ They installed the patent Dandy Roll at Crabble paper mill in 1825, and its most notable use at this time was the making of Indian currency paper. That year the British East India Company consolidated their Presidencies of Bengal, Bombay (now Mumbai) and Madras (now Chennai) and issued joint rupee currency, using the Phipps produced banknotes for larger denominations. The two brothers also introduced the production of brown paper at Crabble paper mill where they had built a logwood mill store. The logwood, (haematoxylum campechianum) came from British Honduras, now Belize. The Governor of British Honduras from 1829-1837, was Dovorian (later) Sir Francis Cockburn (1780-1868). The Colony had been founded in 1638 by former British buccaneers who were joined by loggers in this heavily forested semi-tropical area on the east coast mainland of Central America. At the time, and for a long time after, the main export was logwood or bloodwood, as it was also known and was exported to Europe for use in dyeing fabrics and making brown paper. At Crabble paper mill, after grinding the logwood, it would have been boiled to extract the colour that the Phipps brothers would have sold on, possibly to the recently opened Scott Dyeworks, in Snargate Street. The remaining pulp was used for making the brown paper. 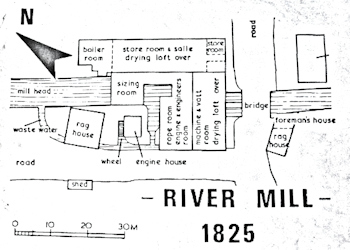 A survey of River paper mill of 1825 described it as having a ‘two vat mill with drying loft over.’ There was a boiler room, storeroom and salle – where female employees sorted and counted out sheets of paper for packing. Above was a drying loft. There was a sizing room, where the pulp was soaked in an adhesive of rosin – this was likely to have been made out of naphtha extract from pine stumps – and aluminium sulphate to stop ink spreading. A rope room, engine and engineers room, engine house with adjacent water wheel, vats and a rag house (see adjacent map). The waterwheel was used to drive the hammers as described earlier. 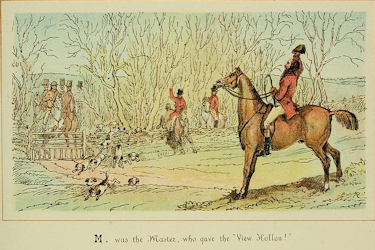 On Sunday 19 March 1826, Luke Evans (c1794-1867) and Thomas Maytum (d1849), both of whom worked at the mill and one of the sons of the John Brockman, the Dublin Man of War publican, had been out looking for foxes. They had with them two dogs owned by John Witnell of Dover. On finding a fox-earth on farmland at Wickham Bushes, Lydden, they let the two dogs down but the dogs were unable to get out. The next day Evans, Maytum together with Stokes went to dig the dogs out when Richard Graves, the farm steward, came to see what they were up to. On being told, he gave the men permission and the men managed to rescue the dogs. As the men were packing up their things Henry Oxenden and his party, all on horseback came on the scene. On inquiring if Graves’ master had given permission for the men to be on his land, Graves admitted that he had not asked. Oxenden responded by telling Graves to order the men off the land but as they were leaving anyway, they quickly made off. 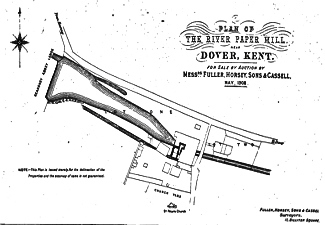 According to Zachariah Warren’s (1775-1834) Dover Guide of 1830, all of Dover’s paper mills had come through the post war economic troubles and were at that time thriving. Ingram Horn bought Buckland cottage paper mill in 1788 and by 1820 his son Thomas (1778-1833), who by then owned it, wanted to retire so put the mill up for auction. Out of the proceeds Horn in 1823 built Buckland House, on Crabble Hill, that still stands today. George Dickinson (d1843), brother of John Dickinson the paper manufacturer who had patented the improved Fourdrinier continuous paper machine, leased Buckland paper mill in 1822. He had borrowed £30,000 from the Fector bank and had also built a steam driven paper mill at lower Charlton, known as Spring Garden paper mill, with a house next door. 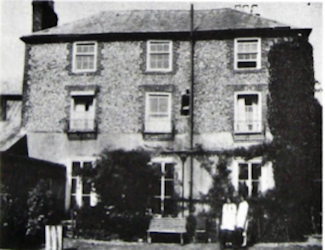 This he called Brook House that eventually became part of the former Royal Victoria Hospital on the High Street, this was not the Brook House that was infamously demolished by Dover District Council. William Knocker (1761-1847) leased Bushy Ruff paper mill in the Alkham Valley to a series of papermakers including from 1826 to George Dickinson until 1837 when Dickinson was declared bankrupt. In the village of Charlton, William Kingsford owned the corn mill and had bought the other Charlton paper mill, near Charlton Green. At the time of Warren’s Guide, he still owned both the Buckland corn mill and Lower Buckland paper mill but in 1835 he too was declared bankrupt. As we know, John and Christopher Phipps owned both River and Crabble paper mills but of interest, they still traded as Messrs Phipps and Sons. Further, at Crabble, between River and Dover, was Crabble corn mill – that can still be seen today – and was owned by brothers John and Joseph Pilcher together with their uncle Edward trading as Messrs Pilcher & Co. Of interest, they also owned Kearsney corn mill and in 1830 they were leasing it to John and Christopher Phipps! Following the bankruptcy of William Kingsford on 14 February 1834, solicitor, Thomas Baker Bass (1807-1860) bought the Lower Buckland paper mill. He hired the Phipps brothers to run it and the following year they produced the East India Company rupee paper money there. The order enabled them to raise the capital, using loans from both of Dover’s banks, to buy the mill. The Fector Bank was run by George Jarvis (1774-1851) on behalf of John Minet Fector junior (1812-1868), who was a minor and the Latham Bank, chaired by the philanthropic Henshaw Latham (1752-1846). At about this time, it would seem that John Phipps became incapacitated and he died in 1841. It would also appear that he lived in River Mill House with his brother and possibly other members of the family. The elegant Georgian mansion that faced Lower Road, River had ten bedrooms, one with a bath, good accommodation on the ground floor and a spacious wine cellar. Filmer Phipps had married Lucie Stephanie Palmira (1811-1898) in Boulogne and following the death of John, it appears that the couple and their young son, also called Filmer (1833-1911), spent time at River Mill House helping Christopher to run the paper making business. Christopher retained the company name as John Phipps & Co. River-mills Dover. Although the country was falling into one of the deepest economic depressions of the 19th century, the three mills that Christopher Phipps owned were still receiving some orders. On 26 December 1844 he patented an improvement of the manufacturing of paper but on Easter Monday, 13 April 1846, the Latham bank collapsed owing £35,000. The bank’s holdings were sold over the heads of their borrowers and the loans made out to Christopher Phipps were called in. He was forced to sell Lower Buckland paper mill at less than what it was worth and also terminate his contract with the East India Company. Builder, John Pierce (1788-1851) of Bartholomew Terrace, Buckland, bought the mill in 1846 and it opened as a brewery the following year. Pierce named this after his hero, the Duke of Wellington (1769-1852). As for Christopher Phipps, he just managed to hold onto both River and Crabble paper mills but Buckland cottage paper mill was hit. Except for a short period of time when the Weatherby family leased Buckland cottage paper mill, it remained empty until it was rented by Charles Ashdown (1808-1888) in 1849. By 1851 Ashdown owned the mill and was assisted by his son William Henry and known as Henry (1841-1875). The economic woes, naturally, affected the workers as many were laid off while others took pay cuts. Nationally, with increased industrialisation a growing numbers of factory workers joined associations in their efforts to achieve better wages and working conditions. Such associations were severely dealt with by the authorites, but during the 1830s attempts were made to set up national general trade unions. During this time the Chartist Movement (1838-1857) had emerged with the aim to gain political rights and influence for the working classes. Although it fragmented, it helped to give the impetus to unions based in trades and following the passing of the Trade Union Act of 1871, they were legalised. The Trade Union Congress was established that year. Fractional disputes within the Original Society of Papermakers had stopped its expansion into machine-based paper mills including Dover’s. A splinter group, the United Brotherhood of Papermakers established in 1854 did make inroads at machine-based mills. However, in 1869, nationally, a number of papermakers broke away forming the Modern Society of Paper Makers. The two fractions reunited again in 1894 to form the Amalgamated Society of Paper Makers (ASPM). In 1915, the National Union of Printing and Paper Workers (NUPPW) was formed by the amalgamation, the year before, of the National Amalgamated Society of Printers’ Warehousemen and Cutters and the newly formed National Union of Paper Mill Workers. The National Union of Printing, Bookbinding, Machine Ruling and Paper Workers was formed in 1921 by the amalgamation of the National Union of Printing and Paper Workers and the National Union of Bookbinders and Machine Rulers. In 1928, the trade union shortened its name to the National Union of Printing, Bookbinding and Paper Workers (NUPBPW). In 1937 the ASPM merged with NPBPW and in 1948 the Original Society of Papermakers merged with the NUPBPW! Since that time further mergers and amalgamations have taken place and at the time of writing the trade union representing paper workers in the UK is Unite the Union, commonly known as Unite and founded in 2007. 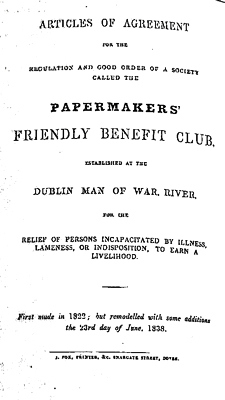 Back in 1822, at the Dublin Man of War pub, the River paper workers had formed a Friendly Benefit Club. The Club’s purpose was to provide relief for workers at the mill, who had been incapacitated, to earn a living. The Phipp brothers, more kindly than their father, had lent encouragement and most workers were members. In June 1838 the club rules were tightened and each papermaker who joined had to sign that they would accept the conditions. These included the condition that no person should be admitted under the age of 18 or over the age of 30. All members were expected to attend meetings and on arrival to pay one shilling that went into the Club’s coffer. If a member was late, he had to pay a tuppence fine but if he moved away he could claim his share of Stock in Hand – his proportion of amount in the Benefit Club at that particular time. Luke Evans and Thomas Maytum were key members of the River Papermakers Benefit Club along with Luke’s brother, Thomas Evans (1796-1868), Henry Pain (1818-1880) and Charles Langley. Like most other paper mills at that time, workers were paid on the piecework basis – the amount the individual or team produced and how much the product was worth at the time it was sold. During the economic depression, Christopher had tried to maintain his workforce by cutting wages and if a surprise order came in, increasing their hours. The problem the workers faced was finding the time and the money to buy provisions. To help with this, Christopher opened a Butty shop for the workers, where they could buy provisions at prices Christopher had negotiated with the suppliers and what he could spend on stocking the store. The prices were often far more than the same goods bought from Dover’s market traders or by bulk or negotiation. Further, the provisions were sometimes far from fresh and often of a poor quality. Albeit, for the workers the Butty was convenient and it also offered interest free ‘tick’. That is, the worker could buy goods and then have the amount deducted from their wages. If they were providing for a special occasion, have the amount to be paid spread over several weeks. This worked well for the workers and for Christopher, besides having reasonably regularly fed workers, if he was short of credit to pay his suppliers, he could issue ‘truck’ tickets for the workers to spend in the mill shop as part of their pay. This was officially called Trucking. Christopher, like his predecessor Thomas Radford, saw that education of his workers as a benefit for the business and one particular apprentice stood out. 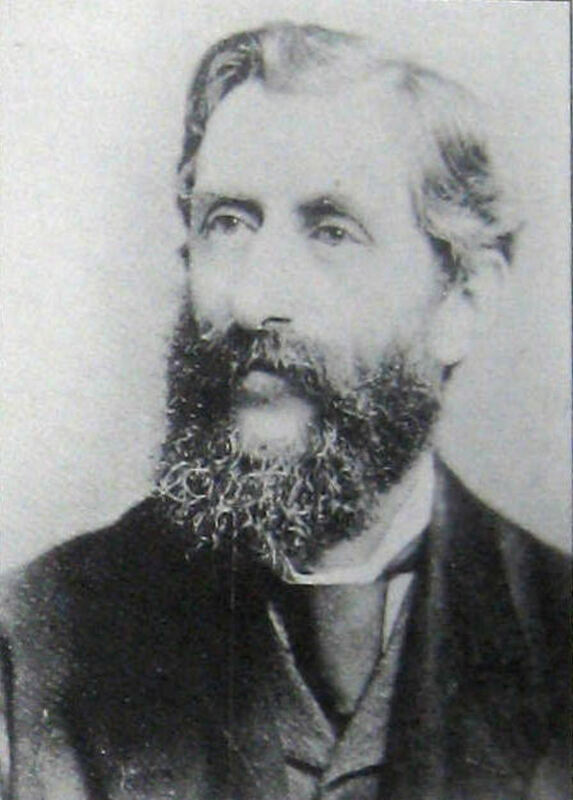 This was Radford Evans – who much later wrote the pamphlet, ‘Recollections of River.’ He was the eldest son of Thomas Evans and his wife Ann née Little (1799-1860) and he was also the great-great grandson of Thomas Radford. From an early age the young Radford had shown himself to be bright, keen to learn and hardworking. Like many of the paper mill’s children, he had attended River school run by the National School Society of Education for the Poor founded in 1811. This was next to the Dublin Man of War public house on Minnis Lane and the premises had been provided at the instigation of Christopher’s mother, Ann Phipps. From about 1812 for 56years, the schoolmaster and sometimes beershop keeper, was Edward Halladay (1797-1868) from Rodmersham, Kent. William Phipps daughters together with a Thomas Tipper and later Elizabeth Baxter helped him out. During Radford’s time at the school, he was encouraged to read widely and as an apprentice at River paper mill, he proved himself an asset to Christopher. Indeed, when Radford married Hannah Hopper (b1831), from East Langdon, in 1858, Christopher ensured Radford that he would have the next available cottage. This was the one next to the schoolhouse, where Radford also helped out. Three years before, when Radford had successfully completed his apprenticeship with honours, it was proposed by Henry Pain and seconded by Charles Langley that he became a member of the River Papermakers Benefit Club. He did and not long after was elected as one of the officers. Although starvation was rife and an unprecedented number of businesses were failing in the 1840s, there were those who stood to make a financial killing. Kearsney Abbey, upstream from River Paper mill, had been built in 1820 by John Minet Fector junior’s father, also called John Minet Fector (1754-1821), of the Fector Banking family. Junior had inherited the 1100-acre Kearsney estate and in 1844 he put it on the market and moved away from Dover. In October that year Kearsney Abbey was sold to E.C Jones for £57,000 but he chose to leave the property empty. In September 1850 the estate was again on the market and a separate offer was made for the 7 acre meadow land, that abutted what was at the time called Watery Lane and now Lower Road, between the Abbey waterfall and the River Paper mill. The speculating consortium, assuming that their offer would be accepted, announced that 20 cottages were to be built that would back onto the River Dour. 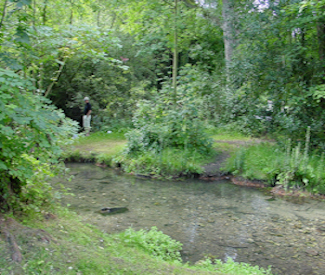 Some of the water from the Dour, between Kearsney Abbey waterfall and the River paper millpond, they said, was to be channelled into the cottage gardens to create fishponds. This in turn would reduce the size of the millpond, which was the result of the dam created by the paper mill. This, they claimed, caused the regular flooding along that stretch of the lane from Kearsney to River village – hence the name Watery Lane. Further, it was well known, they said, that the mill was having financial problems and was likely to close. The development plan came to nothing and the Great Exhibition, held at Crystal Palace, London, in 1851, heralded a new era of prosperity for the country. Whether Christopher attended the Exhibition is unknown but on 17 May that year, his brother Filmer died in Margate and was buried at River. Shortly after Filmer’s wife Lucie and their son, 18year old Filmer, left for France. While there, it appears that he made a point of finding out more about the French paper production before returning to England to take charge of the wholesale stationer business at 176 Upper Thames Street, London. The River and Crabble paper mills recovered with Christopher relying on Filmer selling Phipps’ white paper through the London outlet, the good will of his workforce and looking for both cheaper methods of production and slots in the market to sell his paper. White paper was being produced at both mills using rags as the base but these were becoming increasingly expensive to buy as the American demand for rags had boosted the price. Added to this, many of the Continental countries prohibited the sale of rags abroad in order to keep the price of domestic produced paper down. Filmer, following his observations on French paper production, was horrified to find that in Britain, although there was customs duty, an import tax, on Continental paper, this did not increase the price to even match the cost of British domestic production. Further, British produced paper, when sold on the domestic market was subject to the tax of excise duty! With regard to the production of white paper, Filmer was aware that Esparto grass (Stipa Tenacissima) produced the best quality but was considerably more expensive than rags. He was probably aware, from his wholesale business, that although Chlorine bleach was being tried by some paper manufacture factories, it had not been very successful. Filmer knew from his uncle Christopher that in 1823, it had cost about 23shillings to produce a ream of paper and due to the mechanisation introduced by his grandfather, William Phipps, in the 1850s it cost about 8shillings 2pence a ream. Nonetheless, imported white paper was still cheaper and so he agreed with his uncle, that the best future for the mills was to produce a special type of paper. Logwood supplies, that Christopher had used to produce the reddish brown paper at Crabble Mill, had become very expensive. This was due to the export of the wood from British Honduras being badly hit by the political strife there. Christopher, with the help of Radford Evans at Crabble paper mill, tried a number of different materials and found that paper made from the trunks of the Brazilian redwood trees was particularly strong even though the result was a pale reddish/ brown colour. The Brazilian redwood was harder (14,200 Newtons) than logwood (13,000 Newtons) but the trees it came from were considerably bigger. At that time there was an abundant supply and it was being imported through Dover for cabinet and furniture manufacturers. How Christopher dealt with the debarking and cutting the trunk of such a large tree is unclear but Dover did have the large Finnis Timber Yard in Biggin Street. The grinding of the wood was almost certainly done at Crabble paper mill, using sandstone attached to a water wheel and it was possible to produce about five or even six tons of ground wood for pulping a day. The next stage was soaking the wood in a chemical solution such as caustic soda, to dissolve and remove various wood components such as lignin – a binder for cellulose fibres that provides stiffness to the cell walls – to leave just the cellulose. 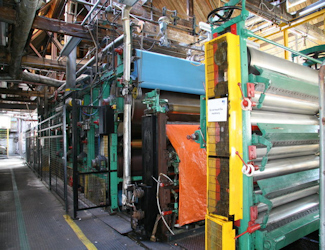 The paper was then made in the usual way, using the Fourdrinier machine. Once production was on the way, Christopher looked for a market for the strong pale reddish/ brown paper where the colour could possibly be of benefit. Dover, besides being a port also had a strong military presence. Following discussions with the local senior army officers, he realised that there was a possible market for his paper to be used for wrapping gun cartridges and explosive material. The only problem was that the paper would have to be damp proof. River paper mill already had sizing vats and therefore the making of this special paper moved to there. Again, Radford Evans was in charge. It would seem that he had Fourdrinier type machines both at River and Crabble paper mill, for both mills also continued to make white paper from rags. Albeit, so successful was the cartridge paper that Christopher showed samples to the Admiralty, who had a shipping yard on Strond Street, by the harbour. They too were impressed by the strength and water tightness of the Phipps cartridge paper and placed an order. The Admiralty used the paper for wrapping ropes and it was made at Crabble Mill where a sizing vat was installed. In parliament, William Ewart Gladstone (1809-1898), the Chancellor of the Exchequer (1859-1866), proposed to repeal all duties on paper. Over this, Christopher was pleased, as he had, for a long time, together with other paper makers asked for stamp duty, a form of excise duty, on paper to be repealed. However, the Gladstone proposal was for all duties to be removed and that would make paper imported from the Continent even cheaper. Although, Christopher did not face any competition for his cartridge paper, the production of white paper was still the main paper that the Phipps factories produced. On Tuesday 14 February 1860 a deputation of paper makers, including Filmer Phipps representing the Phipps paper mills, presented a memorandum to the House of Commons arguing against the proposal. 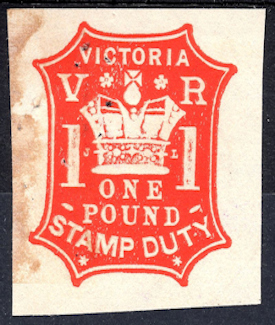 Stamp Duty was first introduced in 1694 on vellum, parchment and paper, to pay for the King William’s War (1688-1697). During the 18th century it was extended to cover a wide variety of items from newspapers and apprentice indentures to perfume and hair powder. Indeed, it was the 1765 Stamp Act that provoked the start of the American War of Independence (1775–1783), while in 1795, it was imposed directly onto paper production. The Newspaper and Stamp Duties Act of 1819 was one of six Acts of Parliament that came into force following the Peterloo Massacre in Manchester on 16 August 1819. It was the time of the post Napoleonic Wars starvation and the Acts were aimed, amongst other things, at curtailing outspoken radical newspaper journalists by increasing the price of newspapers by 7pence. Rather than suppressing journalists, who called it a tax on knowledge, it reduced the number of small town local newspapers sold, which had a direct affect on the local paper making industry. Henry Hetherington (1792-1849) a leading Chartist, in 1831 published an unstamped paper, the Poor Man’s Guardian (1831-1835). Advertising the illegal status of the paper and recruiting hundreds of paper sellers he caused questions to be asked in the House of Commons and the protest was taken up by the Chartist, National Union of the Working Classes (1830-1843). The Lord Chancellor (1830 to 1834) the anti-slavery, Henry Peter Brougham, 1st Baron Brougham and Vaux, recommended that the tax on newspapers should be reduced to 1pence. In 1834 the stamp duty was abolished on pamphlets and reduced to 4pence on newspapers but punishment for tax evasion was draconian. Over the next three decades agitation for a free press escalated and in February 1860 Gladstone introduced the Paper Duty Repeal Bill that would abolish all duties on paper and associated goods. As far as the paper makers were concerned the legislation, if enacted, would open the market to foreign competition. The paper makers claimed that this would be unfair as their European counterpart governments protected their paper industry. To support their argument, they had a meeting with the Prime Minister (1855-1858 & 1859-1865) Henry John Temple, 3rd Viscount Palmerston (1784-1865) at which Filmer Phipps attended. 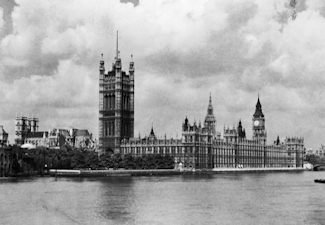 That same day, in early February 1860, the paper makers representatives, including Filmer, handed in their memorandum to the House of Commons and on Saturday 18 February 1860 it was put before a full House by Member of Parliament (1857-1864) Christopher Puller (1807-1864). Both Christopher and Filmer were in the public gallery. Notwithstanding the paper makers stance, with pressure from the newspaper industry, printers, free traders and trade unionists, the Bill passed its second reading by 53 votes. The paper makers, fully supported by Dover paper makers who continued to be represented by Filmer Phipps, increased their opposition. The third reading of the Bill in May just scraped through by 9 votes before going to the House of Lords. There, on 21 May, the Bill was rejected causing a constitutional crisis. Those who wanted the Bill to succeed in its entirety, hit back by saying that paper makers were advocating a tax on knowledge. When the removal of import and export duties on paper entered into law there was a breakdown in relations between workers and owners in the paper making industry, most notably between Radford Evans and Christopher Phipps. Customs duties were reduced to equal excise duties in August 1860 and in October the following year all paper taxes were repealed and Britain had a free press. The three main countries that prohibited the export of rags were Belgium, Germany and France. The British government tried to persuade them to rescind such action but Belgium refused and although Germany did agree they replaced prohibition with an export duty of £9 3shillings a ton. France replaced prohibition with a duty of £4 7shillings 2pence per ton of rags and said that this was equivalent to a bounty of £7 per ton of paper exported to Britain. On 4 March 1867, Filmer Phipps was in attendance at the Middlesex Session to watch the prosecution of a cabman, Charles Boyd whom, it was alleged stole a portmanteau and other property to the value of £20. Although Boyd was found guilty, due to his previous good character mercy was shown and he was fined. On 6 October that year Christopher Phipps died and he was probably pleased to know that although the manufacture of white paper was not as competitive as similar paper from the Continent, just 22 miles away, the diversification into cartridge paper was paying off. Due to the perceived threat of Napoleon III (1852-1870) extensive works had been carried out on Dover’s Western Heights between October 1859 and February 1862 and the influx of military personnel had increased the demand for cartridge paper. Christopher, in his Will, apparently bequeathed large cash payments to local charities and smaller ones to his numerous nephews and nieces. His nephew Filmer was his main beneficiary as he left him the two paper mills. The name John Phipps & Co. River-mills Dover was retained. At the time Filmer was successfully running the wholesale stationer’s business at 176 Upper Thames Street, London and living in Twickenham with his wife Catherine (born c 1843) from Ireland, four children and a retinue of servants. However, the loyalty of Christopher’s workforce was not what it had been. Although many in the workforce had left the mill to find employment in the growing number of shops and industries in Dover, the village of River was still expanding. In November 1870, the River Parish passed a motion to comply with the Elementary Education Act of 1870 that created compulsory education in England and Wales for children aged between 5 and 13. The school was rebuilt on Lewisham Road, not far from the River Paper Mill, and meanwhile Filmer and his family treated the River Mill House as a summer lodge. No expense was spared on refurbishment and the social gatherings they held were the talk of the neighbourhood. Filmer had contributed to the expenses of the new school and Catherine played the lady bountiful. Not long after, Filmer was appointed a Kent County Justice of the Peace. Meanwhile, Radford was virtually running River paper mill and both it and Crabble paper mill were slowly increasing the production of cartridge paper to meet the steady increase in demand. What Radford found particularly interesting was a deal Filmer had struck with the Royal Arsenal, Woolwich for waste cartridge paper. That was the Phipps paper left over after the Arsenal had cut out the required shape. This had started to arrive at Rver paper mill and Filmer had told Radford to find a profitable use for it. Possibly by trial and error, Radford found that the returned reddish cartridge paper could be pulped and dyed blue. Research has found that imported indigo produced from Asian plants of the genus Indigofera is in most blue paper produced around that time and so that is possibly what Radford used. The paper making process would have been similar to what was used for producing cartridge paper, except that the blue would be fixed to the paper using metallic salts such as alum or copper sulphate at an early stage. To Radford’s benefit, indigo was often mixed with a red dye such as Brazilwood, to brighten that paper and cartridge paper was made out of Brazilwood! Further, grocers liked to pack their goods in blue paper and because Phipps blue paper was particularly strong, it quickly proved popular. The deal over the used cartridge paper that Filmer had procured was through the War Office in London but it would appear that John Arthur Jones (age 36) a warehouseman at the Arsenal, might have tipped him off. Waste paper from the Arsenal was usually sold to waste paper dealers in London, and a Robert Whitman, of Walworth, London, bought the cartridge paper off-cuts as part of a mixed lot of paper off-cut. For these he paid £3 a ton and Jones delivered them from the Arsenal. Filmer Phipps had offered the War Office 10shillings a ton just for the cartridge paper and they had agreed. However, Jones was delivering considerably more off-cuts to River paper mill and to Whitman, than was being paid for – sometimes twice as much and legal action was taken. Three men, William McOubray (age 55 ) storekeeper at the Arsenal, Thomas Wright (age 46) a labourer at the Arsenal and Jones were arrested and charged with conspiracy to cheat and defraud the Crown. 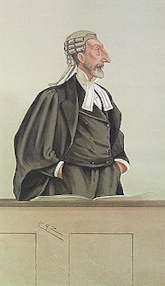 The trial was held at the Old Bailey, London, on 23 September 1869 and the case was heard by Justice William Baliol Brett, later 1st Viscount Esher, (1815-1899). Of interest, prosecution was led by the Attorney General (1868-1871) Robert Porrett Collier, 1st Baron Monkswell (1817-1886) and a member of his team was Harry Bodkin Poland (1829–1928) who was appointed the Recorder of Dover in 1874. The case lasted a day in court and a spokesman for the War Office confirmed a deal had been made with Filmer Phipps to buy the off-cuts at 10shillings a ton. Under normal circumstances the waste paper was usually sold in bulk to the highest bidder, in this case, Whitman who offered £3 a ton for a mixed bag. It had been observed that from February to August 1869 Filmer Phipps had paid £17.6 for 352hundredweight of off-cuts but the amount of off-cuts the mill had received was 652hundredweight, the value of which was £32.6. During that period of time Whitman had also received far more off-cuts than he had paid for. In court, the prosecution argued that this could only have been carried out at the Arsenal by McOubray and Wright, who weighed the off-cuts and packed the delivery carts. As for Jones, who delivered them, he had entered into a private contract with both Phipps and Whitman. The defence lawyers said that on checking both Phipps and Whitman’s books, the amount of waste paper entered tallied with that stated in the Arsenal’s books compiled by McOubray. Further, if it was a conspiracy, as the prosecution claimed, why had neither Phipps nor Whitman been prosecuted. In his summing up, Mr Justice Brett observed that he could ‘see no benefit to the prisoners unless Phipps and Whitman were in on the conspiracy.’ Both men were seen to be above reproach, Phipps as a Justice of the Peace and Whitman holding a similar position. ‘This being so,’ said the Judge, ‘the excess waste paper could only have come about through carelessness when it was weighed by McOubray and Wright!’ The jury, after a few minutes of consultation, returned a verdict of not guilty. When Radford had suggested that the off-cut cartridge paper would make strong blue paper bags for packing sugar and other groceries, Filmer had agreed. But as a businessman, he would see this as a risky proposition as the mill did not have any demand for that type of paper. It would seem that Filmer decided to cover the start-up costs by the profits from the Butty shops. Christopher had opened a second Butty shop at Crabble mill and when he was in charge the Butty shops were never seen as profit making concerns. It can be conjectured that when Radford pointed this out Filmer’s response was that the Butty shops were part of the paper mills business and therefore should be profit making enterprises. What happened next is difficult to exactly ascertain, but Radford knew where the waste cartridge paper was coming from and he was almost certainly aware of the details of the Court case that were well publicised. After a discussion with Radford, in what Filmer announced was an act of generosity on his part, he said that he would not charge the Butty shops for the use of the blue paper bags! To add insult to injury, as part of his workers wages Filmer issued truck tickets to be spent at the Butty shops. Christopher had done this when he was having financial turnover problems, not like Filmer, as a matter of course. However, when the 1875 Truck Act came into force, which prohibited whole or part payment of wages in food or drink or clothes or any other articles. Filmer, it would appear, was none too pleased especially as his opulent life style was taking its toll on his finances. It would also appear that he chose to ignore the Act where he could get away with it. The following year, through the London auctioneers Robinson and Fisher, Filmer mortgaged both River and Crabble paper mills for £6,000. Shortly after he officially promoted Radford to the position of Foreman at River paper mill and promised an increase in pay. It would also seem that in order to retain his cut of the Butty shop profits, Filmer increased the prices the Butty shop charged. Radford almost certainly took this up with Filmer, as well as the continued use of trucking as part payment of wages but to no avail. In 1879 Radford, along with six other men, decided to set up their own shop. This was based on a co-operative set up in Rochdale in 1844, where the mill workers bought their goods wholesale and sold them to their members at market prices. They then divided any profits among the members in proportion to the amount the person spent. This had eventually led, on 3 April 1863, to the founding of the Co-operative Wholesale Industrial and Provident Society Limited (CWS). The idea of a similar co-operative quickly caught the imagination of other workers at River and Crabble paper mills and in May 1880, under the Industrial and Provident or Friendly Societies Act (1876), the River Co-operative Society, (RCS) was founded. Radford Evans was the first Secretary. Each member paid 1shilling (5p) a week, which amounted to £139 share capital for the first year. Out of this the RCS paid 10shillings (50p) to join the CWS and bought tea, coffee, cocoa and corned beef in bulk. These, when sold, were packed into the blue paper bags produced by the mill and supposedly provided free by Filmer! The new Society had an original membership of 65 and business quickly grew. The sales at the end of the first year amounted to £1,162 and they established their first shop, at 92 Lower Road, River. The house is still there. Filmer Phipps in order to make quick money diversified into brick making at River. He rented a field, bought the equipment and with his limited knowledge, supervised production. 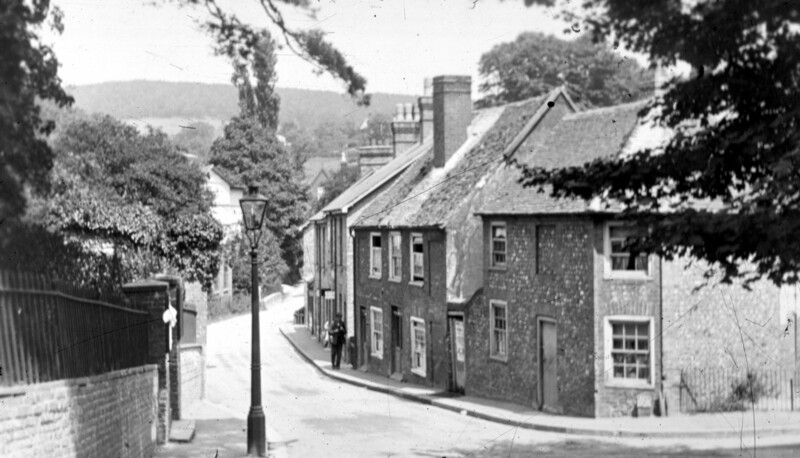 At the time, to meet the increasing population of Dover, streets of houses had been built along Folkestone Road and the Winchelsea Estate had been laid out in 1865. Houses along Barton Road were being built and Beaconsfield Lane, originally a footpath crossing the river by a small bridge, had been developed to become Beaconsfield Road. The town’s cricket field on the nearby Wood’s Meadow was acquired for the building of ‘good class houses’ that became Leighton Road and Millais Road. By 1881, homes along Maison Dieu Road and Pencester Road, and also the Clarendon Estate had been built but then the market slowed down. By 1888 speculative building in Dover was at a standstill and no one was interested in buying Phipps poorly made bricks. On 17 September 1888 Filmer Phipps, stated that he was a wholesale stationer of 176 Upper Thames Street, London and trading as John Phipps & Co. Under the style of F Phipps & Co. trading as a paper maker, farmer and a brick manufacturer of River paper mill and Crabble paper mill. He was filing for bankruptcy and the court official stated that Phipps liabilities amounted to £15,532 with his assets of £4,375. It was agreed that his assets be vested in the Official Receiver and Phipps or/and his friends, could purchase them for £4,000. Phipps put River Mill House on the market but remained in residence, mortgaged his London properties to a firm of Estate Agents and Crabble paper mill was put up for sale. Henry Hobday (1838-1921), Ashdown’s partner at Buckland paper mill would have liked to buy Crabble paper mill but Charles Ashdown had just died. When Lower Buckland paper mill had ceased to exist Ashdown had dropped the ‘cottage’ part of his paper mill’s name and had persuaded Hobday to become a partner in 1879. Hobday had been a paper mill manager at Snodland, on the River Medway, Kent, and when he came to Dover, he brought two of his sons, John Norwood Hobday (1860-1933) and Lewis Henry Hobday (1875-1958) with him along with the rest of his family. In 1887 Ashdown and Hobday won a lucrative contract with the giant paper manufacturer, Wiggins, Teape, Carter and Barlow of London, to produce ledger paper. This was a strong durable medium to heavy writing paper with good erasing quality used in business ledgers and record books. 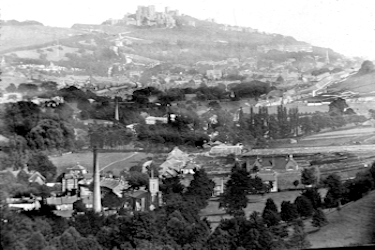 Unfortunately, on 25 September that year, a fire badly damaged Buckland paper mill but in order to fulfil the contract, they rebuilt the mill that we see today with the distinctive clock tower, at the bottom of Crabble Hill at a cost £7,000. Ashdown was dead before it was completed. Edward Percy Barlow (1855-1912), one of the directors of Wiggins, Teape, Carter and Barlow, made Hobday an offer for the Buckland paper mill which was accepted. Hobday stayed on as a manager and Barlow renamed the ledger paper, Conqueror paper. He also bought a luxurious apartment at Kearsney Court for his family and took over of the running of the Dover operations. In 1894, Crabble paper mill was on the market and advertised as covering just over 3acres. It comprised of a mill, bleach house, engine and boiler houses, chimney shaft, press house, drying house, store sheds, cottages and a 48inch inch Fourdrinier paper making machine. Barlow’s company purchased Crabble paper mill and carried on producing paper there using the ancient Fourdrinier machine but increasingly the mill was used as a rag house for the Buckland paper mill. That is, until a disastrous fire on 10 July 1906. Crabble paper mill was then rebuilt specifically as a rag house with a staff dining room and recreational hall. The latter was built in appreciation of the staff’s efforts to save the mill. At its height, Crabble paper mill employed 250 women and 11 men. Following the introduction of man made fibres, in the latter part of the twentieth century, the mill was used for export packing and storage as well as a social club with a full size bowling green. In 1998, the Crabble paper mill site was put up for sale and initially the sale excluded both the bowling green and the social club. Then in June 1999, it was announced that Buckland paper mill was to close and both sites were to be sold. Following the sale, Crabble paper mill was turned into luxury apartments while the Buckland paper mill site, at the time of writing, is undergoing redevelopment. Filmer Phipps bankruptcy hit the mill workers hard, not only were they out of a job, they had not been paid outstanding wages. Further, those who had received part of their wages in truck tickets were sent bills for the goods they had bought using the truck tickets! Compounding this, all those who lived in the paper mill cottages were billed for outstanding rent even though they had every reason to believe that the rents had been deducted from their wages. Radford Evans, apparently retaliated by claiming £9 14s 5d in unpaid wages. But he was also finding running the River Co-operative Society (RCS) heavy going. The RCS had built a small bakery in River, but local corn mill owners were refusing to sell them flour. This was led by Willsher Mannering (1841-1923) and his brother Edward (1841-1932) who owned both Crabble and Buckland corn mills. Initially Radford was able to get supplies from further a field but as time passed the boycott spread. 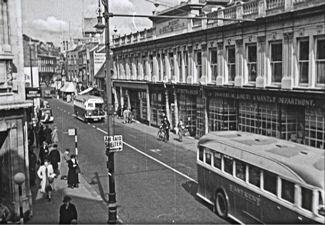 During this time the RCS had opened a shop on East Cliff, but this had failed, leaving the business in debt. Without the pressures of running River paper mill Radford was able to devote more time to the RCS. 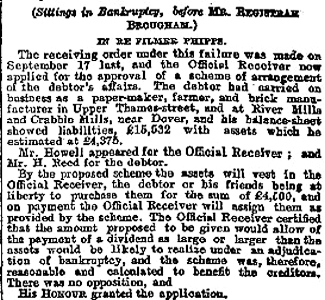 When things started to improve, he re-registered RCS as the Dover and District Co-operative Society Ltd (DDCS). The members then agreed to buy 3 Market Street, in the centre of Dover, but it would appear that Filmer Phipps was vociferous in blaming the demise of his mills on DDCS and in particular Radford. Phipps was still living at River Mill House and was an active member of Dover’s business elite. The Mannerings, who were also part of the business elite, made their dislike of Radford known and in consequence Dover’s major shop owners, led by George Crowhurst Rubie (1828-1916), launched a vicious campaign against DDCS. On 10 April 1889, having purchased the site in Biggin Street, the consortium put the name River Co-operative Society over its doors! Joseph Rayner, another member of the original consortium, was the manager. On the day the Biggin Street shop opened about 800 of the 921 members were entertained to a celebration tea and were addressed by both the Secretary, Radford Evans and the now President of DDCS, Joseph Rayner. In the meantime, DDCS bought for £2,000 a plot further up Lower Road, River where the Co-operative store is today. There the shop, assembly room, bakery, and for their employees, cottages were built. Most of these buildings are still there today. For the next 100 years the local co-operative set up by the workers of River paper mill, became one of the major retailers in the East Kent area. Radford and Hannah moved away from the district and on 12 September 1912, Radford died at Princess Square, Bayswater, he was 76 and classed himself as a retired Forman papermaker. Hannah died in March 1917 in Paddington. On the day of Radford’s funeral all the DDCS shops closed and many of those who knew him travelled to Finchley where he was buried. Following the bankruptcy, River paper mill remained under the management of Filmer Phipps operating as F.Phipps & Co. and he employed workers that were compliant. 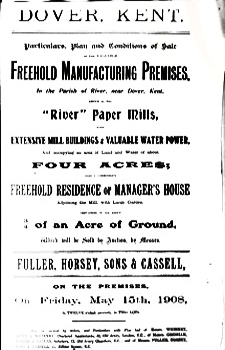 In 1894 the mill was put up for sale along with the River Mill House which was handled by Fuller, Horsey, Sons & Cassell of 11 Billiter Square, London. The adverts state that the mill covered just over 3 acres, was an ‘L’shaped building with two floors and built of brick, flint and timber. Beating engine house with five water wheels, chemical store, chimney shaft, rag, boiling and smith’s shops. The machinery included two paper making machines one of which was 52 inch and had eight drying cylinders – appearing to be a combined Fourdrinier papermaking machine and a Thomas Bonsor Crompton drying machine, patented back in 1821. The mill was also listed as having eight screw presses, a vertical engine, a 6 horse-power horizontal engine a Loco type boiler – a horizontal, cylindrical boiler barrel containing a large number of small flue-tubes plus a double-walled firebox and a smokebox with chimney for the exhaust gases. A second boiler barrel of the type that contained larger flue-tubes to carry the superheater elements with forced draught provided by injecting exhausted steam back into the exhaust via a blast pipe in the smokebox. A compound condensing beam engine, which would have had either two or three cylinders, through which the steam was expanded in turn. With this engine, the exhaust of the high-pressure cylinder fed the low-pressure cylinder. There was also a Lancashire boiler – a long horizontal cylinder with two large flues containing the fires. Finally, a rag boiler, washing engines and various other items of equipment. The advert stated that the Mill made extra strong, air dried, brown paper, from Brazilian redwood trees and cartridge paper for Eely Brothers, a manufacturer of firearms cartridges in Edmonton, north east London; and Kynock ammunition factory, Witton, Birmingham. River Mill House was described as having fifteen rooms, a large garden and the whole covering about three acres of ground. The River paper mill was again back on the market in 1901, but the advert was not as detailed as before. Albeit, it daid state that the mill had an engine house, five water wheels, chemical store, rag sorting houses, boiler houses, ring boiler, drying house, fitters and smiths shops, chimney and two paper making machines. In the national census that year, Filmer Phipps said that he was in Lewisham and that his occupation was the manager of River paper mill. In 1907, the mill was again on the market at £2,100 and the Mill House for sale at £600 but the grounds of the MIll House had been reduced to .75 of an acre. The accommodation was said to be good on the ground floor and that there was a spacious wine cellar below. On the first floor there were five bedrooms, a dressing room and a bathroom as before, but on the top floor there were five bedrooms and another bathroom! Nonetheless, neither the mill nor the house was sold and on Friday 15 May 1908 it went to auction. This time River paper mill was bought and the mortgagees appointed Phipps as manager. Not long after reopened Phipps was in trouble over the accounts and sacked. He moved to Richmond where he died in 1911. Mancunian Philip Henry Crawshaw (b1858) was appointed to manage the mill and as the military were preparing for a possible war, he specialised in producing the extra strong air-dried brown cartridge paper. Crawshaw than increased production during World War I (1914-1918) until demand fell as the War was coming to an end. In the meantime Crawshaw applied for other posts and was appointed manager of Towgood & Beckwith’s Arborfield Mill, Helpstone, Lincolnshire. Among the different papers they produced was Cylinder Dried Rope Brown paper. Captain F Foster bought the elegant Georgian River House, built in 1807 by William Phipps, in 1914. It was then sold to George Brisley (1871-1949) in 1921 who resided there until he died in 1949 and then the house was passed on to his daughter. In 1960 the mansion was purchased by the novelist James Barlow (1921-1973), the author of thirteen books two of which were made into films. They were Term of Trial starring Laurence Olivier (1907-1989) and released in 1962, the year Barlow sold River Mill House. Also The Burden of Proof – released as Villain in 1972 and starring Richard Burton (1929-1984). 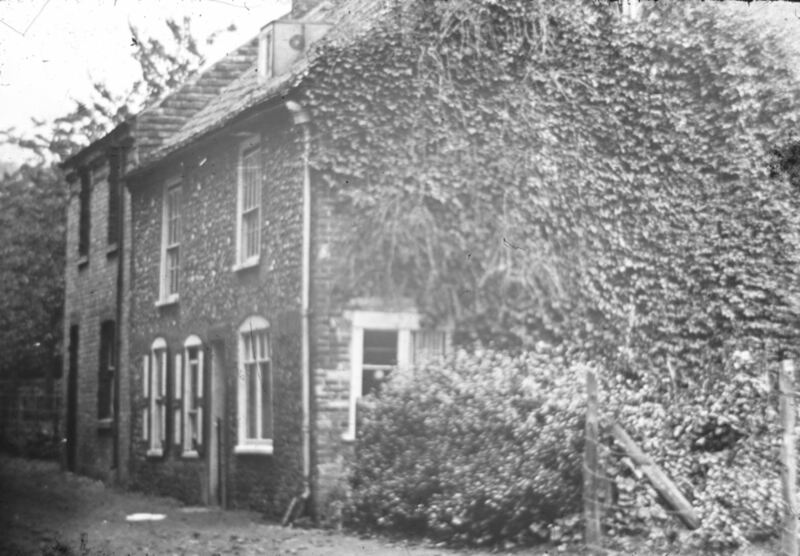 Shortly after Barlow moved out, the mansion was demolished and the houses that can be seen today along Lower Road on the opposite side of Minnis Lane from the mill ruins, were built. The Dublin Man O’War pub was rebuilt in 1898 on Lower Road, River, from a design by Edwin Pover (1843-1903) – a well-known Kent architect. Permission to transfer the licence from the former pub on Minnis Lane was given by Dover magistrates in the spring that year. 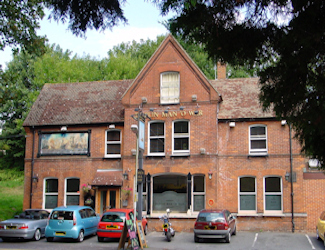 The Pover designed pub suddenly closed in October 2016 and the building was demolished in spring 2019. Up until 1927 the River Dour flowed across Minnis Lane and it was crossed by a ford, that year Dover Town Council erected a concrete bridge over the Dour. Following the closure of the paper mill, Professor Mark Purcell Mayo Collier (1857-1931) and his wife Florence Queenie (b1873), who owned Kearsney Abbey, bought the cottages. They renamed the paper mill cottages, Dublin cottages because of the proximity of the Dublin Man O’War pub. In 1927, one of the cottages was rented by a miner who worked as a sinker at the Betteshanger pit, owned by Pearson & Dorman Long Ltd. In November 1927 he was badly crushed and killed in an accident at the pit, which opened not long after. Of note, Dublin cottages were demolished in 1957. The River paper mill had closed in 1918 and was stripped of its contents. Interest was expressed in it becoming a tannery but this was negated due to strong local opposition. This particularly came from the widow of Major General William Henry Randolph Simpson (c1830-1910), Catherine, the owner at that time of Kearsney Abbey. Although she won she still put the Abbey on the market and it was sold in 1920. The new owners were the Collier’s and Florence Queenie Collier, known as Queenie objected to every proposal for the industrial use of the former paper mill. Eventually the Collier’s purchased the 7-acre meadowland along the river Dour, between the Abbey and the mill and at the same time, the paper workers cottages, as mentioned above. Not long after, on 8 April 1928, they had the River paper mill chimney demolished. 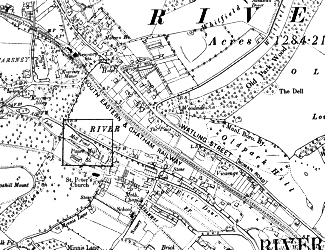 Dover Borough Council bought the Abbey and 25 acres of land for £10,000 and eventually Professor Abercrombie’s riverside walk between Kearsney Abbey and Minnis Lane was realised. However, in 1967 plans were submitted to close the riverside path and demolish the paper mill ruins in order to build four houses costing £8,000 to £10,000 each on the 7acre meadowland. The residents of River petitioned against the scheme and a Public Planning Inquiry took place in July 1968. There the builder admitted that due to the nature and proximity of the River Dour, the cost of the engineering work necessary would be considerable and the proposal was turned down. Today, the ruins of the former River paper mill can still be seen at the bottom of Minnis Lane and are a feature of the River Dour Walk (see the River Dour Part 2 section 1). This entry was posted in Buildings, River Paper Mill, River Paper Mill, River Paper Mill, River Paper Mill, River Paper Mill. Bookmark the permalink.